Top floor Corona Del Mar Penthouse unit with Southern exposure 2 parking spaces in the covered parking garage and a deeded 100ft deep water boat slip with water/electric! 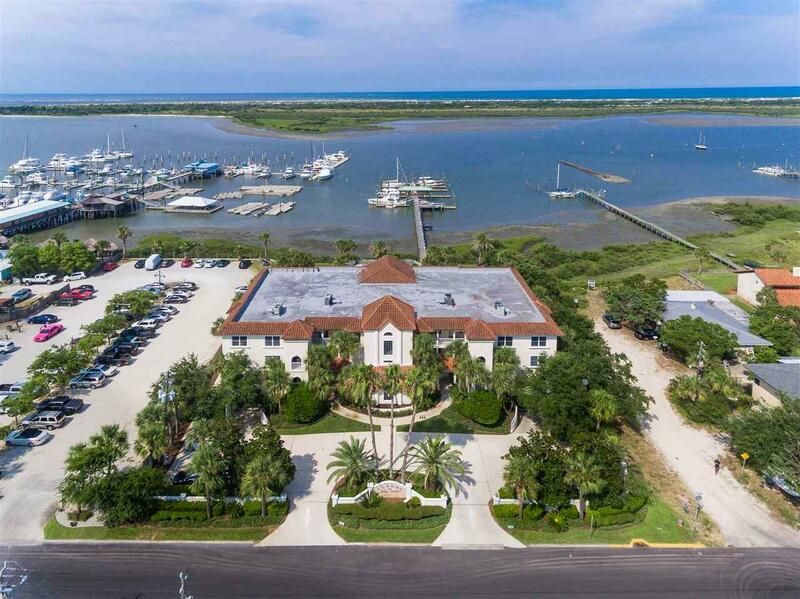 Situated on the safe harbor of Salt Run which provides direct access to the Inlet, Atlantic Ocean, ICW and St. Augustine Bay Front! 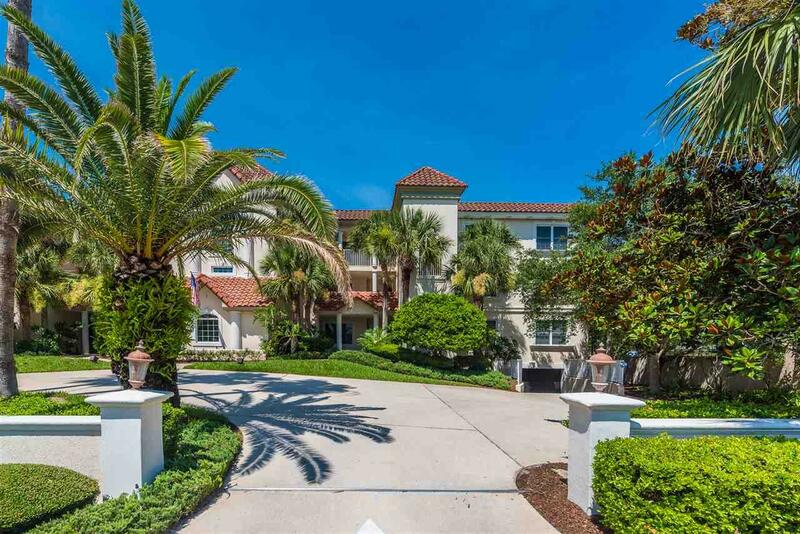 This spacious and well appointed condo offers 3BR/2.5BA, 1,870sf of living area & a huge 30X13 tiled lanai with breathtaking panoramic water views to Anastasia State park & Atlantic Ocean beyond! This unit is lined with crown molding, light and bright with many windows and just gorgeous vistas. The kitchen is central with granite counters, tile back-splash, wood cabinets, pass through to the living room and dining area with views! Master suite offers tray ceilings, water views, access to the covered lanai, dual vanities, 2 walk in closets and Sep. shower/soaking tub! You'll love the morning sunrises, ocean breezes and afternoon shade on the rear lanai. 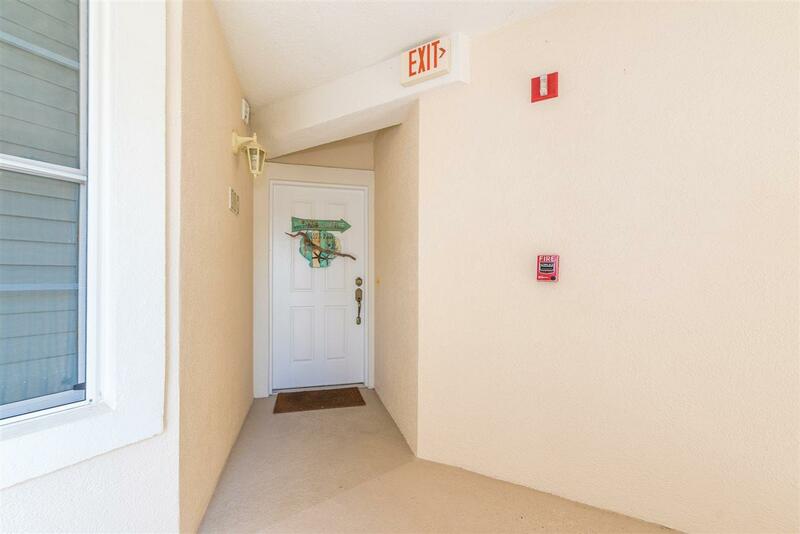 Corona Del Mar is a 15 unit complex, concrete block with a tile roof offering residents a heated pool/spa, recently rebuilt floating docks, parking garage with storage lockers and guest spaces out front. 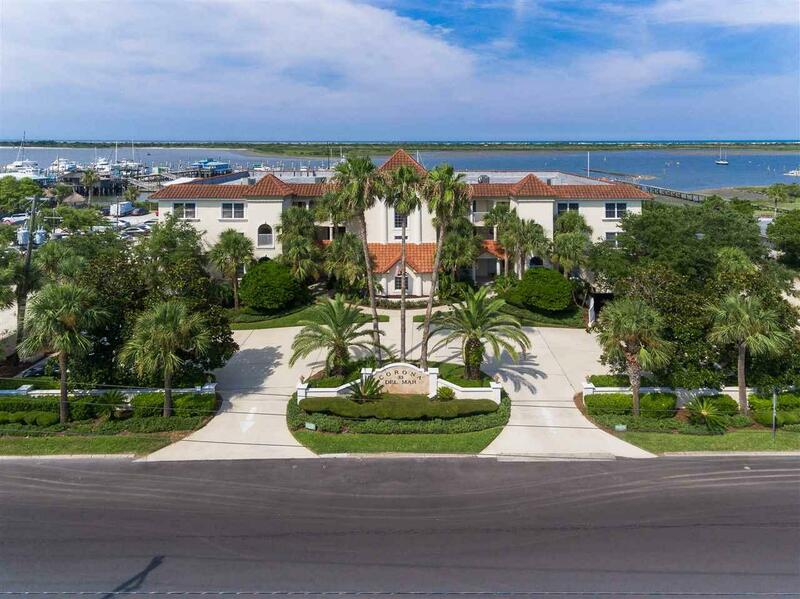 Located in Davis Shores and steps from the Conch House Marina, shopping and restaurants on Anastasia Blvd. and a short stroll or bike ride to Historic St Augustine and Beaches!